Fully CNC’d twin bolt inline seat post. The ovalised internal diameter decreases weight whilst maintaining the strength. Beautifully finished and highly adjustable. 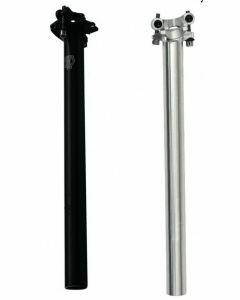 Seriously great price for a fantastic CNC’d seat post.